my humorous short-short story, "A Gentlewoman's Guide to Time-Travel"
"The Luminous Rabbit" My book review blog. (This blog was reviewed by BlogBuzz. Here's the review.) My blog's title, "The Luminous Rabbit," is taken from a P.G. Wodehouse story. To contact me, please write to AliceRoelke *AT* gmail *DOT* com. The Girl and the Dragon, a YA, dragon-themed, religious fantasy adventure, to Muse It Up Publications. An ex-soldier living on a space station has trouble dealing with her memories of war. She blows off steam riding her illegal bike. One cop in particular outsmarts her, and she ends up sitting in jail, until one of her ex-soldier friends threatens to blow up the station if his demands aren't met. The cop lets her out of jail to help stop this and Jules's one-woman journey to stop her friend begins. "An ex-cop on a space station struggles to overcome alcoholism and the death of his partner. Against his better judgement, he befriends a station newbie, and the two begin to investigate the murder of their fellow homeless space station residents." She remembered how she'd wished for the stars. It seemed ironic, now. Somebody wants Bill to deliver a Christmas tree. To Mars. With Earth and Mars on the brink of war, one man a message gets through. The prisoner claims to be Baxter’s buddy. From a parallel universe. People say the Delans can tell you your future, and never get it wrong. But does that mean you should trust them? A cat, a little girl, and an artificial vampire save the world. The Girl and the Dragon, a YA, dragon-themed, religious fantasy adventure novel, to Muse It Up Publications. Peaches In Winter, sweet romance to be published by Muse It Up Publications in August 2011. "A Gentlewoman's Guide to Time-Travel," published in Daily Science Fiction, August 11, 2011. "Piggot Porkins," (poem), at Digital Dragon Magazine. Poem is here. "Jim's Draglings," (short story), to Fur and Fire Anthology available here, from Amazon.com. Watch Over Me, (young adult coming-of-age romance/fantasy novel), scheduled to be released from MuseItUp Publications in 2012. 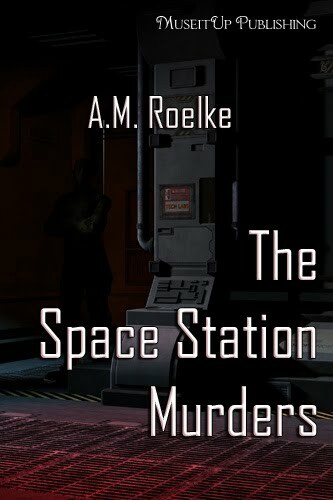 "The Space Station Murders," 20,000 word e-novella, tentatively scheduled for release May 2011, from Muse It Up Publications. "Blood and Brothers," in ResAliens #2 (reprint from the Residential Aliens website) ResAliens print mags can be purchased here. 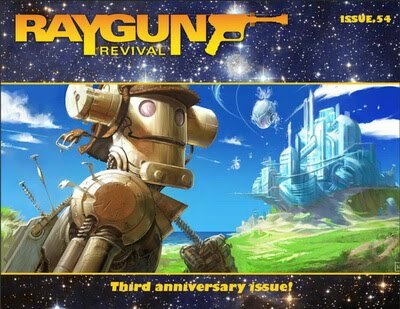 "Evergreen and Always," a Christmas story, in Ray Gun Revival, Issue 49 December 2008. The story is here. (This story appeared again in the "Christmas In Outer Space" anthology from Whortleberry Press. "Blood and Brothers," a short story about dragons, published in Residential Aliens October 2008. The story is here. "Jarod and the Flashlight Bugs," a children's bedtime-type story about a boy and lightning bugs, to Stories That Lift. The story is here. 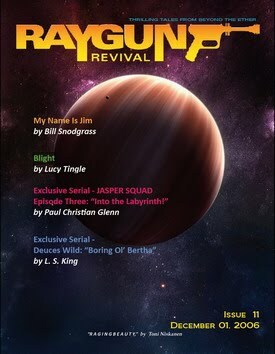 "Message to Mars," a science fiction story, published in Ray Gun Revival, issue 46, September 2008. The story is here. 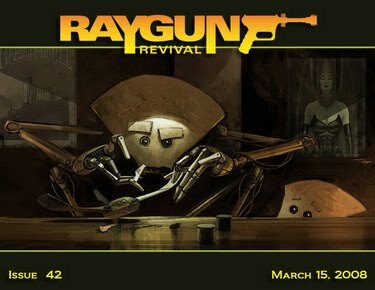 "The Great Escapade," a short science fiction / buddy story story involving an alternate universe, published in Ray Gun Revival issue 42, March 15, 2008. The story is here. 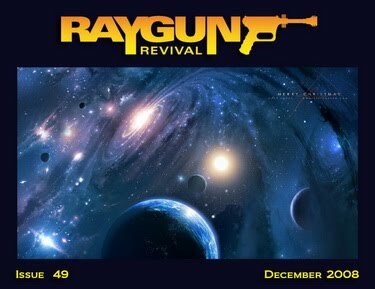 "Last, Full Measure," a short science fiction story involving time travel, published in February 2008 at Ray Gun Revival! The story is here. "Changed Minds," Wayfarer's Journal, Fall Issue 2007. A short-short science fiction story. The story is here. "Cricket Nights," Haruah: Breath of Heaven, July 2007. (A woman remembers, and regrets. A short-short 'literary' story.) The story is here. 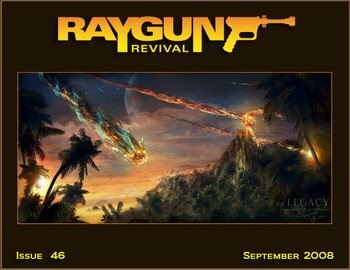 "Murder Beneath," on Ray Gun Revival, May 2007. (A science fictional retelling of Shakespeare's MacBeth, featuring underwater plant houses and genetic engineering.) The story is here. 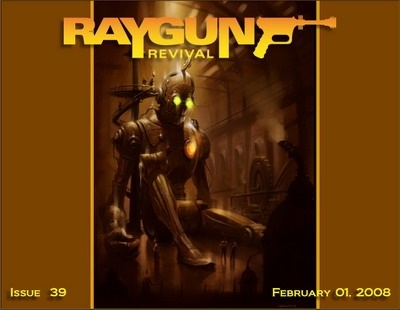 "Blight," to Ray Gun Revival, December 2006, a short science fiction story. (Written under the penname "Lucy Tingle," although my real name is listed at the end of the story.) The story is here. "Private Jim Banks," a Christian science fiction story, on the Christian Fandom Website, 2006. (A soldier of the future deals with an annoying Christian while in the trenches.) The story is here. 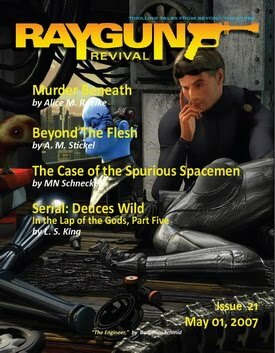 "Dragon Bones," a science fiction story, GateWay S-F Magazine, July 2005. Appeared again on Tower of Light Fantasy in September 2007. The story is here. "The Great Commission," a non-fiction article, won First Place in the nonfiction category in 2004's Young Salvationist Creativity contest, in the 17-22 age group, nonfiction. "The Wrong Thing to Love?" a short article on Christian living, sold toYoung Salvationist in May 2003, appeared in February 2004. "TV Time," a short article on Christian living, appeared in Young Salvationist, Summer 2003 edition. "Strays," a short article on God's love, appeared in Young Salvationist, November 2002.